I focused on the negative first, as you are probably aware, negative attitudes can send you to rock bottom and trap you there. I hope that by taking the time for a closer look at what you are thinking or doing and how it is affecting you, will encourage you to take some powerful action that is required to commit to adopting a more positive outlook. Being positive enables you to enjoy the moment more, and also enjoy the happy memories you have created. Would you rather be the person who never took risks due to an immense fear of failure, or would you rather be the person who struggled when things didn’t work out a few times, but who eventually reached their biggest goals? Would you rather be the person that needlessly complains as all they see are negatives, or would you rather be the person who smiled at the positives in every situation? Would you rather be the person who wastes time blaming others for their hardship, or would you rather be the person who claimed responsibility, moved on and found true happiness? I am guessing you would like to be the latter on every question! When you possess optimism, drive, resilience and all the other wonderful attributes positivity brings, you will be happier in yourself and others around you will tap into that positive energy. Positivity has double the power, if you have it that is great, if your loved ones and friends have it too then that is terrific energy for you all and will bring so many benefits! How Does Positivity Benefit Your Physical Health? Less Stress – lowering cortisol levels throughout your body, you will have more energy, get better sleep, you will smile a lot more and you will be stronger mentally. Less stress also allows you to perform at a much higher level because your mind is a lot clearer so work and relationships flourish. Stronger Immune System – Positivity can have a profound effect on the body. Countless studies have found that the mind and body have a very tight-knit link, which is why negative thoughts bring about illness. Positivity can help remove these symptoms, strengthen the immune system and cuts down the number of illnesses you contract. 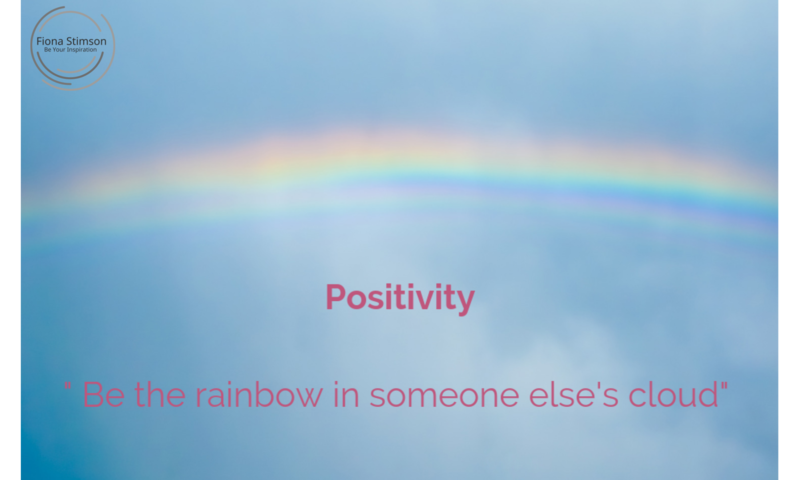 What Else Does Positivity Do For Us? Brings more happiness – happiness comes from within and with a positive nature, you will see the brighter side of life, taking pleasure in the little things. You will tend to be more open-minded, accepting change and embracing new challenges with gusto. As a result, you will feel empowered to prosper and maintain strong performance whilst others may struggle to cope with the mental pressure. Determination will give you the perseverance towards your goals, regardless of setbacks or stress. Keep the end in mind & remind yourself of your WHY for doing something. If the why isn’t resonating enough then you can re-evaluate the goal to ensure it is more congruent with what you really want. Kindness flows, as more positive people get along with greater ease, forming rewarding relationships and effective connections. Being approachable and friendly attracts those types of people to you naturally. Understanding others points of view, listening & responding in a way that doesn’t evoke a negative response will help prevent unnecessary conflict, arguments and broken relationships. You can do this and still stand close to your own beliefs, it just means not enforcing them aggressively. Now, take a look at your answers from Why Attitude Matters #1 and consider how could you replace those negative thoughts with positive ones? Think about how you could have reacted differently for example and what benefits would you see because of your positivity? Train your mind to see something good in every situation, and reinforce it even when you are feeling negative. In post #3 on Why Attitude Matters, we will look at some exercises for creating positivity and gratefulness.